March 28, 2017, Palo Alto, CA: uAvionix Corporation (uavionix.com), the leading Unmanned Aircraft System (UAS) ADS-B avionics solution provider enters the General Aviation market with four key products: EchoUAT, SkyFYX, SkyEcho and EchoESX. uAvionix aims to disrupt the General Aviation industry by leveraging solutions developed for drones to transform avionics design and dramatically reduce the size and cost of ownership. The uAvionix GA product line will be debuted at Sun N Fun 2017 (Booth B-049) in Florida, the week of April 4th-9th. The introduction of the EchoUAT promises affordability, EFIS compatibility and ease of installation in a remotely mounted ADS-B transceiver for Experimental and Light Sport Aircraft. At a mere 65 grams and only $999, it incorporates dual-link (1090MHz and 978MHz) receivers and a 978MHz UAT Class B1S transmitter. The EchoUAT, designed to meet the performance requirements of TSO-C154c, is compliant with FAR 91.227 for operation in the National Airspace System. EchoUAT includes integrated Wi-Fi which supports many popular EFB applications on iOS and Android. EchoUAT features a direct wired communication for use with popular transponders and EFIS models from Dynon, GRT and MGL Avionics. A zero-install, automatic reply decoder integrates with Mode C and legacy transponders for maximum retrofit capability. 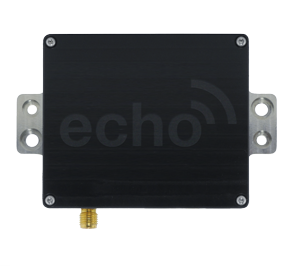 EchoUAT is designed for use with the aircraft’s existing altitude encoder and ADS-B compliant GPS position source. If a rule-compliant position source is not available, uAvionix now offers the SkyFYX GPS rule-compliant GPS position source. 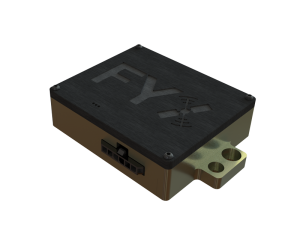 SkyFYX combines a high precision WAAS GNSS sensor with an integrated RAIM processor. Resilient against jamming, spoofing and GPS range errors, SkyFYX provides reliable navigation in challenging environments. At less than $500, SkyFYX is the most affordable ADS-B rule-compliant position source companion for the EchoUAT and EchoESX. The SkyFYX meets the performance requirements of 14 CFR 91.227. For use in Experimental and LSA aircraft. “These products will help pave the way for accelerated ADS-B adoption in the Experimental and Light Sport market by leveraging the technology we’ve developed for the drone market, our GA solutions are smaller, easier to install and more affordable than ever” states uAvionix CEO, Paul Beard. On the international front, uAvionix Corporation introduces the SkyEcho, the first approved portable Cap 1391 Electronic Conspicuity device for UK pilots. The SkyEcho weighs only 200 grams and is the world’s first approved portable ADS-B Out solution. It combines an integrated WAAS GPS, barometer, and WiFi in a portable battery powered package. This general aviation product increases safety in the air as you enjoy the benefits of ADS-B in and out without the costly installation of panel solutions. 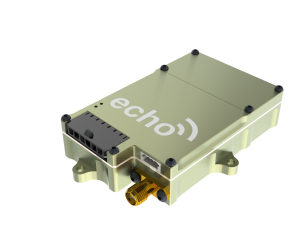 The EchoESX, available late April for $1,699, will lead the way for uAvionix to move into the ADS-B enabled Mode S Transponder market for General Aviation. Ease of installation is a key design criteria to make it the most affordable installed Mode S and ADS-B solution for Experimental and LSA aircraft. 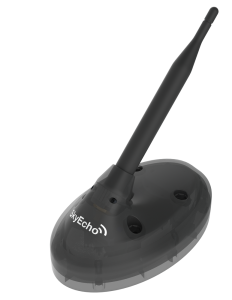 The EchoESX system is designed to interface directly to most popular EFIS models, providing the user with easy configuration and control of the EchoESX transponder functions. An optional 2¼” panel-mounted Control Head completes a Mode S Transponder upgrade solution for those without a supported EFIS model for an additional $400. Control the squawk, ident and more right from the backlit panel mounted control. The Experimental or LSA owners looking for an affordable Mode S and ADS-B Solution need look no further than uAvionix new EchoESX. uAvionix develops the world’s smallest, lightest and most affordable ADS-B transceivers, transponders, and GPS receivers. Based in Palo Alto, uAvionix has gathered a cross-disciplinary team of experts in embedded RF engineering, sUAS operations and compliance, hardware, software, and cloud services.